The Minnesota Real Estate Journal was the flagship product for the Minnesota Real Estate Journal company. The success of the product was among the reasons we were purchased by Law Journal Publishing in 1998 and became the Real Estate Publishing Group. The Minnesota Real Estate Journal was a 4-color offset tabloid for the commercial real estate sector and ranged from 20 to 50 with a circulation of approximately 7,000. I was responsible for the bi-weekly layout of the paper initially, and later oversaw the production of the publication family including color mapping, ad production, layout, preflight and management of printing process. The design of the paper was a legacy design. It has been included here as a representative of my Quark production capabilities. 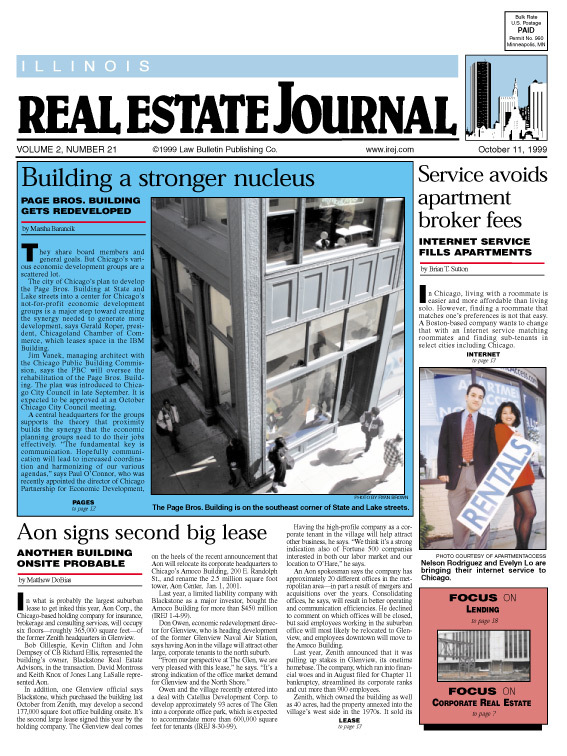 The same format was used to create the Illinois Real Estate Journal.